Siddharth Mridul, J. – The present is an appeal by the revenue against the order of the Income-tax Appellate Tribunal in ITA No. 2771/Delhi/2007 pertaining to the assessment year 2003-04. 2. The respondent/assessee, an individual had filed its return of income for the relevant assessment year on 25-11-2003 declaring total income at Rs. 1,64,06,770. 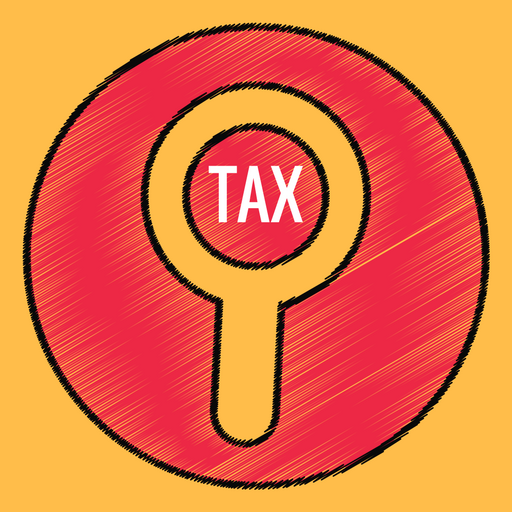 The Assessing Officer issued notice under section 143(2) of the Income-tax Act, 1961 (for short ‘the said Act’) to the assessee, calling for information. Thereafter vide assessment order dated 30-9-2005, the Assessing Officer accepted the return of income submitted by the assessee. 3. It is seen from the record that on the proposal of the Assessing Officer, the learned CIT issued a notice under section 263 of the said Act. The CIT noticed that one Sh. Ashok Kumar Sharma, resident of 12-DM Block, Saket, New Delhi had received compensation for the land at village Tughlakabad and that the said Ashok Kumar Sharma had transferred 50 per cent of such compensation to the assessee at a sum of Rs. 27,00,000 only, whereas the compensation granted by the Supreme Court in relation to the said land was Rs. 1.82 crore. It was further noticed by the CIT that the TDS deducted on the compensation had also been transferred by the said Ashok Kumar Sharma in the name of the assessee. The CIT came to a conclusion that credit of TDS can be transferred mainly to a person who is acting as an agent or representative of the entitled person, and that such issues had not been examined by the Assessing Officer. The CIT, therefore, came to a conclusion that the order of the Assessing Officer was erroneous and prejudicial to the interest of the Revenue and deserved to be set aside. The assessment framed was, therefore, reopened under section 263 of the said Act. 4. Before the Tribunal it was the case of the assessee that the compensation received by him on purchase of the award was offered for tax under the head “Capital gains”. The assessee further submitted that the Assessing Officer had issued a detailed questionnaire and invited the explanation of the assessee on various issues as was discernible from the notice issued under section 142(1) of the said Act. The assessee’s case was that the Assessing Officer had examined every aspect and had applied his mind on all the facts before accepting the computation of income submitted by the assessee and passing the assessment order. It was the assessee’s contention that a specific reply had been submitted by the assessee with regard to the purchase of land at village Tughlakabad and a copy of the award passed by the Hon’ble High Court in respect of this land was also submitted to the Assessing Officer. 5. The Tribunal after examining the facts of the case observed that although it is not discernible from the assessment order whether the Assessing Officer had applied his mind or not, but it was the prerogative of the Assessing Officer to draft his order, and if he failed to record certain findings, the assessee could not be penalized therefor. The Tribunal further observed that what has to be ascertained is whether the Assessing Officer had investigated the issue and applied his mind to the whole record. In this behalf it noted that the Assessing Officer had asked the assessee to submit the Purchase Deed in respect of the purchase of land at village Tughlakabad and that the assessee in response thereto had supplied requisite details and submitted a copy of the High Court’s decision in relation to the award of compensation etc. The Tribunal, therefore, came to the conclusion that the complete details were filed before the Assessing Officer and that he applied his mind to the relevant material and facts, although such application of mind is not discernible from the assessment order. The Tribunal held that, the Commissioner in proceedings under section 263 also had all these details and material available before it, but had not been able to point out defects conclusively in the said material, for arriving at a conclusion that particular income had escaped assessment on account of non-application of mind by the Assessing Officer. The Tribunal, therefore, allowed the appeal of the assessee and quashed the order of the Commissioner passed under section 263 of the said Act. 7. In view of the above discussion, it is apparent that the Tribunal arrived at a conclusive finding that, though the assessment order does not patently indicate that the issue in question had been considered by the Assessing Officer, the record showed that the Assessing Officer had applied his mind. Once such application of mind is discernible from the record, the proceedings under section 263 would fell into the area of the Commissioner having a different opinion. We are of the view that the findings of facts arrived at by the Tribunal do not warrant interference of this Court. That being the position, the present case would not be one of ‘lack of inquiry’ and, even if the inquiry was termed as inadequate, following the decision in Sunbeam Auto Ltd.’s case (supra), “that would not by itself give occasion to the Commissioner to pass orders under section 263 of the said Act, merely because he has a different opinion in the matter”. No substantial question of law arises for our consideration. Consequently, the appeal is dismissed. This entry was posted in Section 263 and tagged 335 ITR, Delhi High Court, In favour of Assessee, issue of notice, revision u/s 263.